This vintage sign says it all! 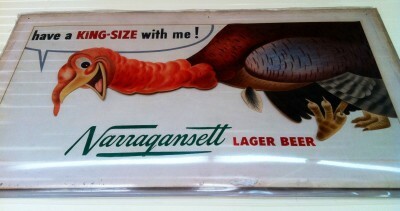 Have a KING-SIZE Gansett with your turkey tomorrow. You have Lager, Light, Porter and Cream Ale to choose from. There might even be some Fest left on shelves. All come in 16oz king cans and taste great with a turkey dinner complete with all the fixings. What could be better than that? We hope you have a Happy Thanksgiving with family, friends and neighbors. 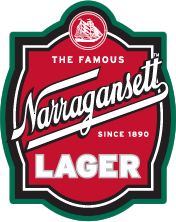 Enjoy a Narragansett Beer with them and remember what you are all thankful for. Hi Neighbor, Have a ‘Gansett! KING-SIZE that is!